The appearance of single cell microorganisms on earth dates back to more than 3.5 billion years ago, ultimately leading to the development of multicellular organisms approximately 3 billion years later. The evolutionary burst of species diversity and the “struggle for existence”, as proposed by Darwin, generated a complex host defense system. 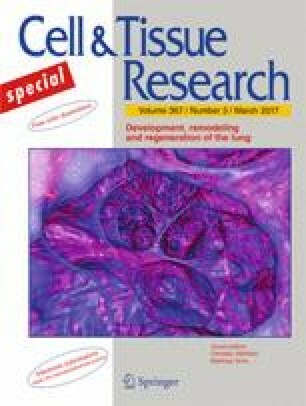 Host survival during infection in vital organs, such as the lung, requires a delicate balance between host defense, which is essential for the detection and elimination of pathogens and host tolerance, which is critical for minimizing collateral tissue damage. Whereas the cellular and molecular mechanisms of host defense against many invading pathogens have been extensively studied, our understanding of host tolerance as a key mechanism in maintaining host fitness is extremely limited. This may also explain why current therapeutic and preventive approaches targeting only host defense mechanisms have failed to provide full protection against severe infectious diseases, including pulmonary influenza virus and Mycobacterium tuberculosis infections. In this review, we aim to outline various host strategies of resistance and tolerance for effective protection against acute or chronic pulmonary infections. Isabelle Meunier and Eva Kaufmann contributed equally to this work. This work was supported by the Canadian Institute of Health Research (CIHR) Foundation Grant (FDN-143273) to M.D., who also holds a CIHR New Investigator Award and by the Fonds de la Recherche du Quebec-Sante (FRQS). I.M. is a recipient of the American Association of Immunologists Careers in Immunology Awards. E.K. is a recipient of funds from the German Research Foundation (DFG).